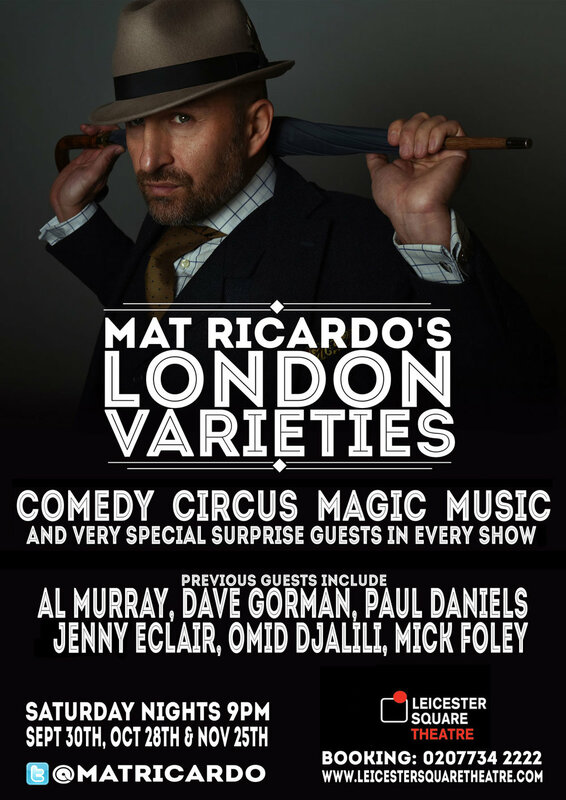 Mat Ricardo's London Varieties Season Three! We're back! Yes. A couple of years after the last season of my hit London variety show, I couldn't keep away - so we're back for another season! Those of you that came to any of the past shows know what special nights they are - full of thrills, skills, spectacle and silliness - one time only moments, surprise guests and unexpected crazy stuff! Every show is different, and every show is different from anything you've ever seen. A tenner will get you an hour of variety and comedy on a Saturday night.